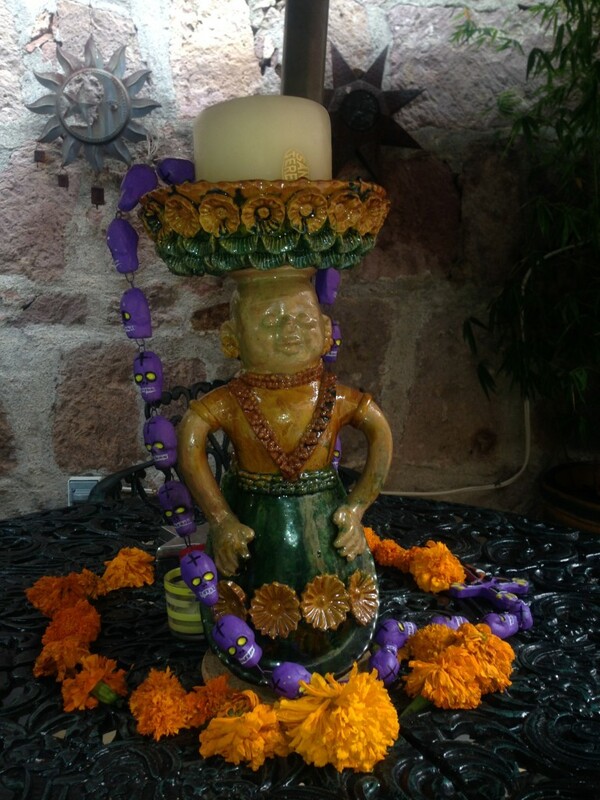 Back in early November Caoba took a trip to Mexico. 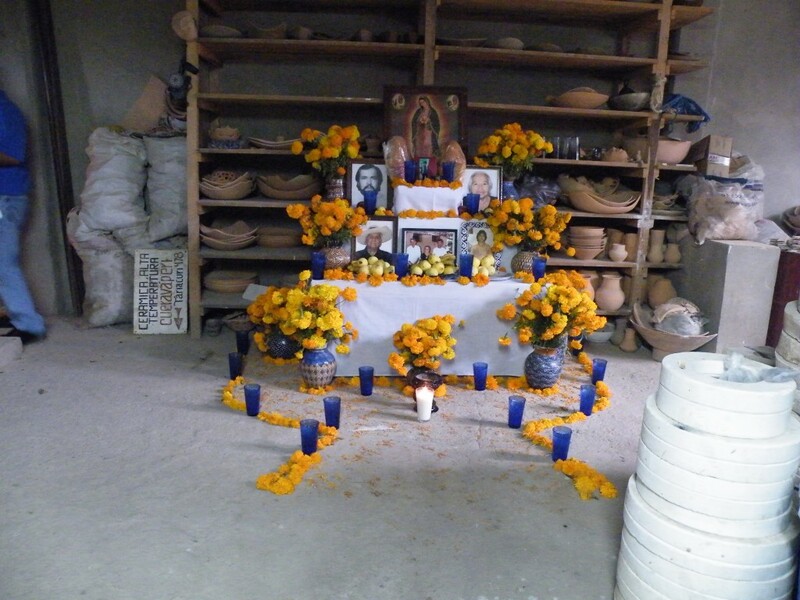 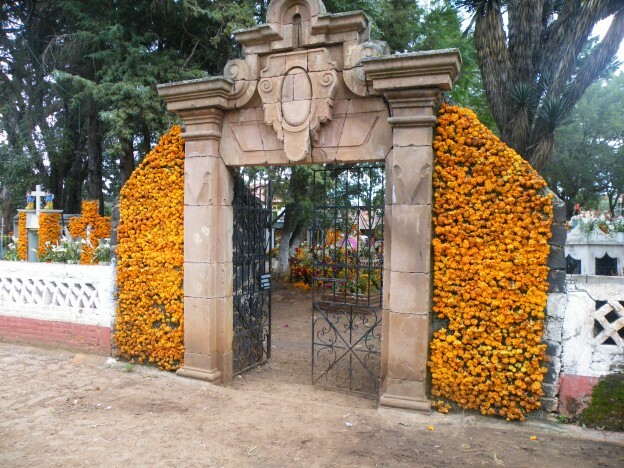 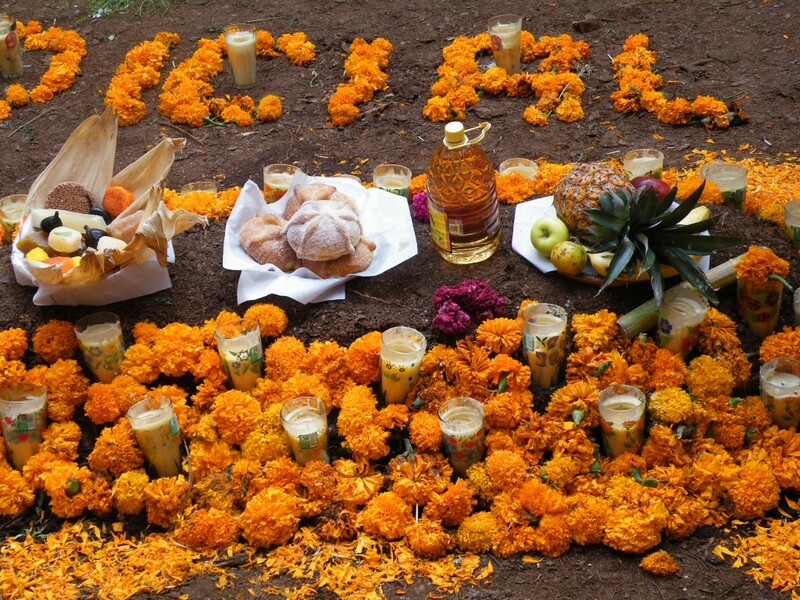 Many of the little shrines built for the Dia de los Muertos shrines were still standing, decorated with glorious, gold Mexican marigolds. 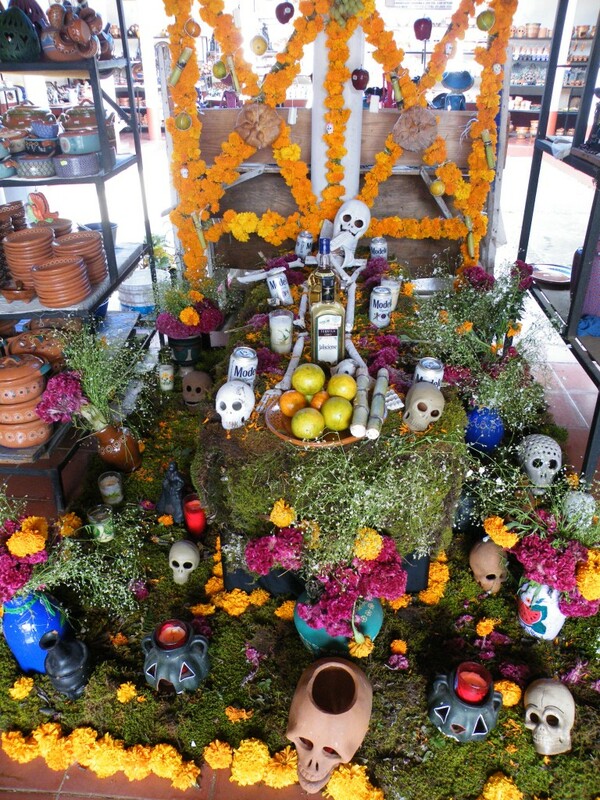 Decorations also included gifts of food, beer and tequila as well as skulls, catrinas, candles and in one instance that we saw, a coffin. 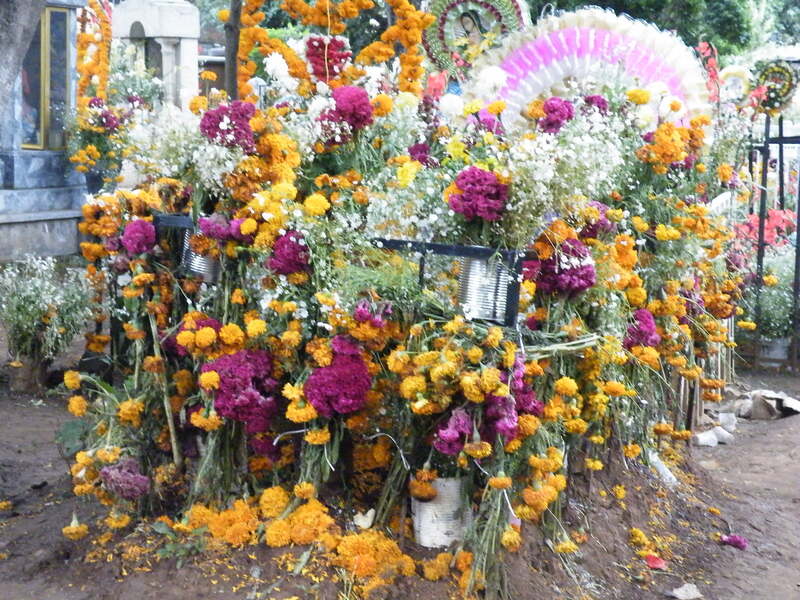 Death as something to celebrate may be an unfamiliar idea to some of us, but it is a little easier to imagine when looking at these photographs. 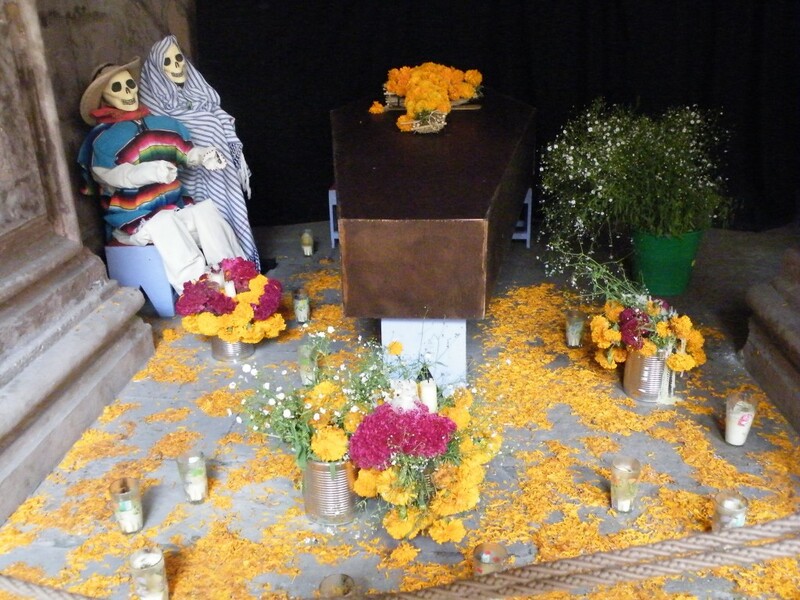 This entry was posted in Day of the Dead on December 5, 2013 by admin.